Created for showcasing people. 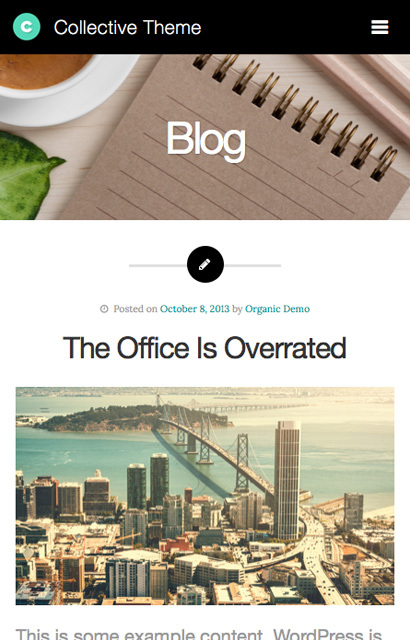 Collective is perfect for multi-author blogs, partnerships, associations and more. Whether you’re collaborating with other bloggers, creating a site for a gaming guild, partnering on a new venture or working with an association — Collective is beautifully crafted for the job. 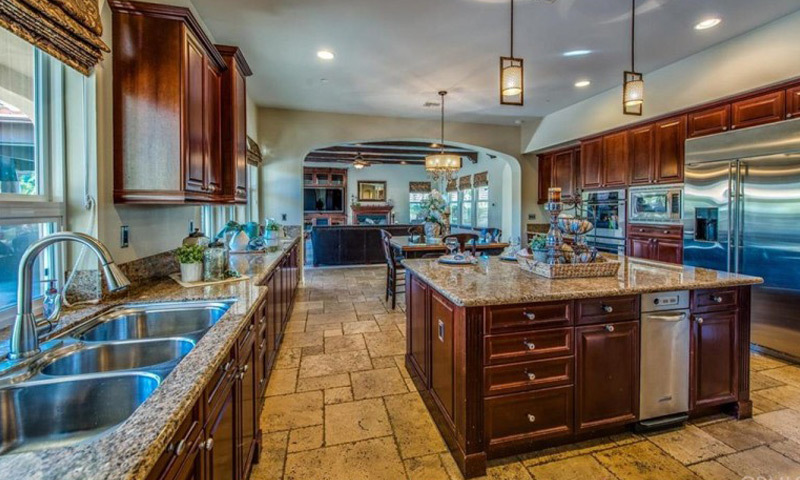 Collective features a wide layout with a sleek and modern design. A custom post type for team members is included within the theme. Each member can write a biography, highlight their position, share social media links and display their own Twitter feed. In addition, the theme contains options for customizing the background pattern of each section on the home page. The theme is constructed from our Seed framework — featuring a responsive grid, retina optimization, a variety of page templates, shortcodes, featured videos, WooCommerce and Gravity Forms compatibility and much more. Make your team shine with Collective! 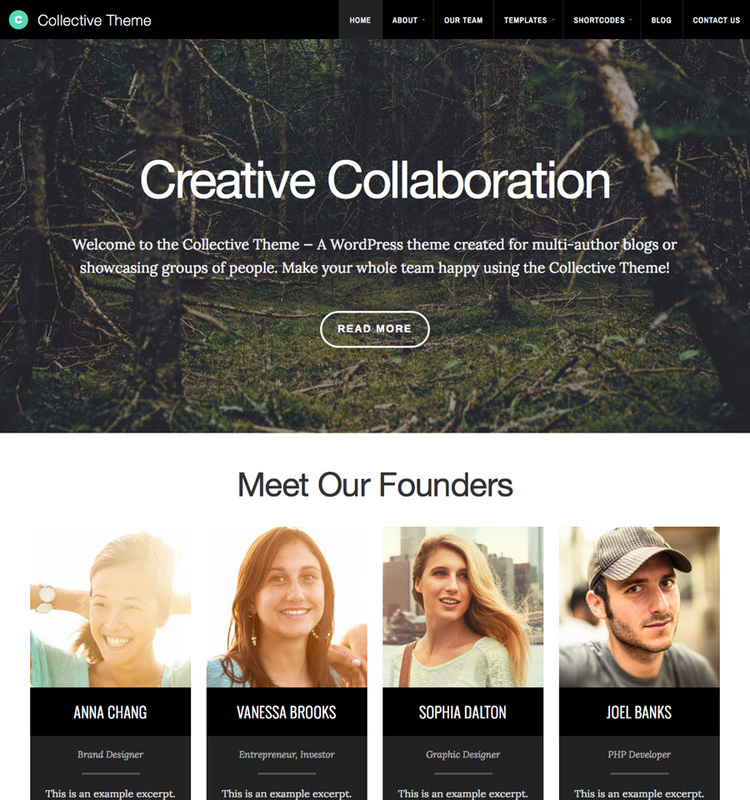 Customers that have built awesome WordPress websites using the Collective Theme. Start building your website with the Collective Theme!